Two brothers elude a press witching by hiding out in the remote wilds of highland Scotland. As they travel, they move from one disturbing scenario to the next, eventually involving themselves with a bizarre religious cult. The power between the brothers begins to shift, and we realise there is more to their history. Fallow is a darkly comic novel about the evolving relationship between two brothers — Paul and Mikey — and the terrible crime that both of them were involved in when they were young boys. This is a tense psychological thriller, deliberately making the reader feel uneasy and anxious about what is to come. 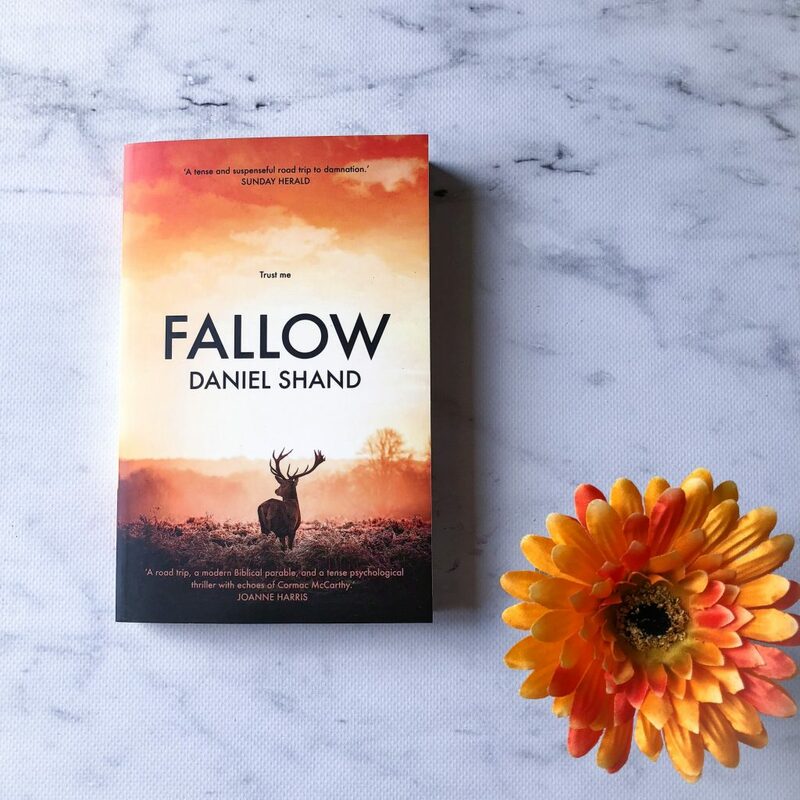 The cover of Fallow is incredibly striking, with orange and brown colours and a single image of a stag in an open field. It’s an inviting book, and I was intrigued. Fallow is under three hundred pages, so it doesn’t take too long to read the entire thing — in fact, I imagine some readers would be able to get through it in one sitting. Fallow explores unreliable narration, manipulation and control. Paul lies and twists his explanation of events in order to control Mikey. In some parts of the novel, Micky commits horrific acts because he thinks he needs to, even though he doesn’t. Paul has lied to him and made Mikey fearful, to the point where Mikey has committed a crime for no reason. And then, because of this, Paul has yet another thing that he can hold over Mikey. It’s a twisted relationship because Mikey feels guilty, but also confused. And over the course of the novel, he starts feeling indebted to Paul, even though he doesn’t need to. The strengths are Daniel’s writing. The prose flows so well and the imagery is beautiful. Just one sentence can say so much about the relationship between these two brothers; Daniel Shand has a real talent for using as few words as possible to convey the most meaning. There are a few things about this novel that I know some readers won’t like. 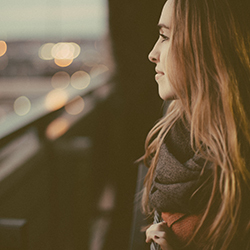 The pace is deliberately slow, to draw out the characterisation and to force the reader to anticipate what’s coming next. The plot is also a little stagnant, so there are a few times in the book where I was wondering where the story is going and why certain events were important to the overall plot. But, the writing is beautiful and the two main characters are incredibly well-crafted and three-dimensional. Daniel Shand has done an excellent job of characterisation through actions, attitudes and dialogue. I recommend Fallow to literary fiction lovers. Yes, there’s a fair bit of crime in the book. But it’s not your average crime or thriller novel. It’s a slow build, and it’s more character driven than plot driven. Some of you might be wondering what the point of it all is, but the ending to this novel is just extraordinary. It was surprising but also satisfying. This is a novel you have to stick with until the end.